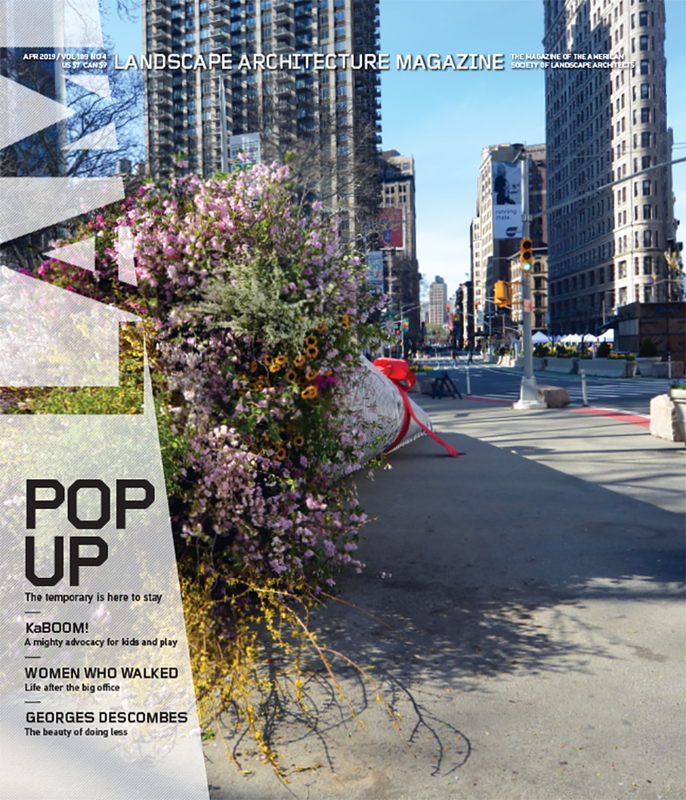 Not that many public art projects are visible in Google Earth. 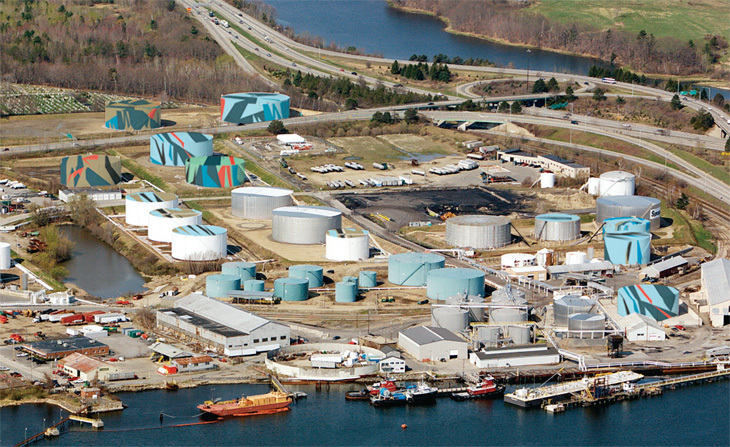 “We wanted to put Maine on the map,” jokes Jean Maginnis, the founder of the Maine Center for Creativity (MCC), and show them “what fabulous creative people we have.” In 2008, the organization held an international competition to transform 16 active industrial storage tanks—located at the intersection of Interstate 295 and U.S. Route 1—with a new coat of paint. Maginnis estimates that 5 million people pass by these tanks each year, including visitors flying into the Portland International Airport. The competition, called Art All Around, attracted 560 proposals from 80 countries. Callahan + LeBleu Landscapes, a local landscape architecture firm, was among the finalists who received a $10,000 prize. But ultimately the jury selected a scheme by Jaime Gili, a young Venezuela-born artist who lives in London. The rendering above shows what Gili’s design will look like when it is completed. 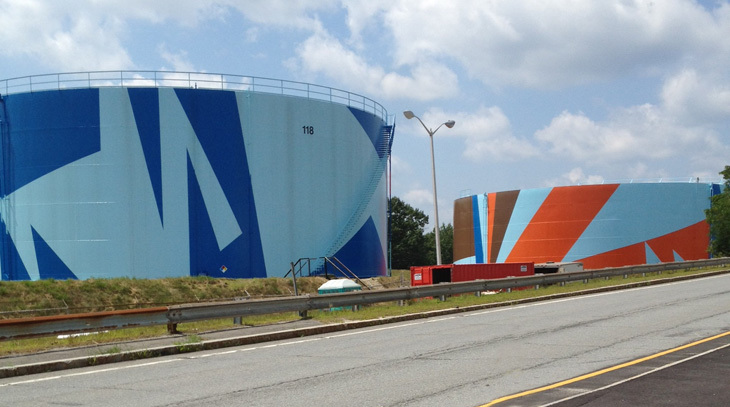 Eight tanks visible from the highways and railroads nearby will be painted on all sides. The others will only be painted on top, creating art that can be seen by people flying in and prospective visitors exploring the city in Google Earth. So far, MCC has raised $950,000 of the $1.4 million budget, and a number of the tanks have already been painted. You can see some more photos after the jump and in Google Maps.